Does this mean that the there is no file tree view or is there a plugin for this? I rely on it when navigating for working with source code. Thanks for adopting the now classical tabs keyboard shortcuts. 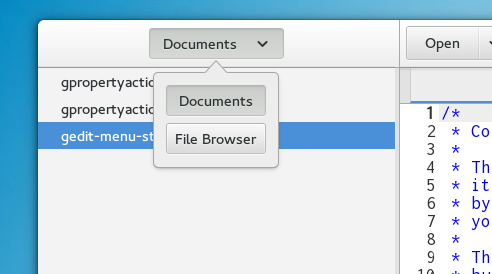 I wish Gnome would do the same in every application, it would be less confusive. Switching between Sublime Text and Gedit, that was one of the top 3 features I was missing in Gedit (the other two are: Ctrl-D multiselection, and ability to open multi-MB XML files). 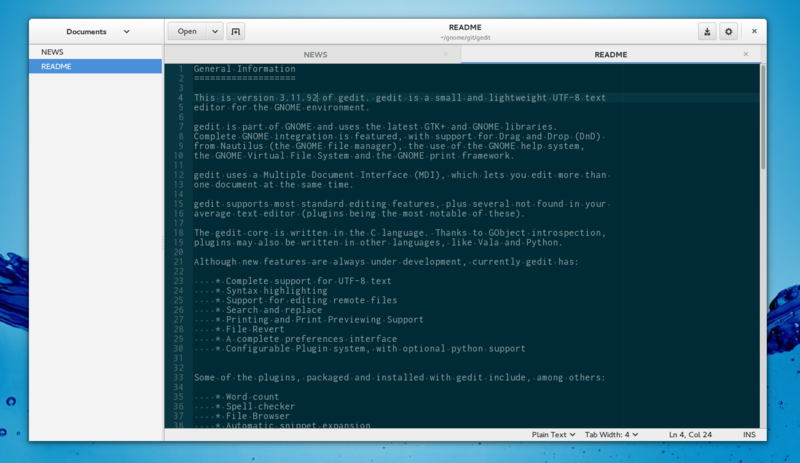 This puts Gedit back in contention for me. Thanks for all the hard work. Dislike. Documents should not be so tightly associated with the type of frame in which they happen to be displayed. Presumably document-based apps that don’t use tabs still use Ctrl-N for “New Document”, so why should the apps that do use tabs be different? What about apps in which you can create a new document in either a new tab OR a new window? [WORDPRESS HASHCASH] The comment’s server IP (192.0.83.14) doesn’t match the comment’s URL host IP (76.74.254.120) and so is spam. In a text editor you are working with files and not with tabs. Ctrl-N is the canonical binding for »new document«. That is looking really good and what a nice theme integration. [WORDPRESS HASHCASH] Snoopy failed to fetch results for the comment blog url (https://blogs.gnome.org/aday/2014/03/25/looking-forward-to-3-12/) with error ” and so is spam.